Writing is hard and can be daunting. Let’s get that out of the way first and foremost. Just like with math or science, some people excel at writing and can pump out dissertation length pieces with ease. While there are others who find themselves barely being able to string words together to make what they think is a “good” sentence, let alone, a longer piece of writing. I get it. Truly, I do. Even though I am a graduate student in English, there are days that I struggle to write. Whether that is due to me not really having a direction to go in a new piece or hitting the dreaded wall of writer’s block in the middle of something I have already started. Or even not really feeling like writing that day because there is so many other things going on in my life that I cannot focus long enough to write something well. Everyone’s story with writing is different and there can be real beauty in that. However, there is one thing I am sure of, there is no such thing as a bad writer. Regardless of what former teachers, family, or friends have said in the past, you are a writer, neither good nor bad, but a writer who is ever changing and learning. We all are. We can all bring different things to the table and can share amazing stories given the opportunity, some of us are just a bit more reserved about it than others. Writing, whether academic or creative can be an outlet for so many things and can not only serve as a form of expression, but also as a form of therapy and a way to bring clarity to this crazy world. One tool that I have found that incorporates all of this is by beginning to keep a writer’s notebook. What is a writer’s notebook? The answer to that is simple; it can be whatever you want. However, you may think this freedom makes it sound like a journal or a diary in its makeup. While it does share similarities, the writer’s notebook functions as more of a reactionary platform versus one of description. In his book, A Writer’s Notebook, author Ralph Fletcher describes the writer as someone who reacts to their world and differentiates them from ordinary people who notice things but do nothing about it. He goes on to describe the writer’s notebook as, “a place to write down what makes you angry or sad or amazed, to write down what you noticed and don’t want to forget, to record exactly what your grandmother whispered in your ear before she said good-bye for the last time” (4). The writer’s notebook is a sanctuary for the writer and its pages are there for them to explore and express themselves through. Writing a paper for class and having too many ideas? Make a list or a web to get your thoughts organized. Lost in a daydream about some far-off fantastical place? Write it down in detail as a starting point for a larger piece of writing. Walk up on one of those campus protest about something you are feeling strongly about but can’t express yourself out loud, write about those feelings. It is your notebook to do with as you please. You can write pages on a single topic or just scribble an idea or something you overheard in the margins of the page to come back to later. Make it look professional with hard-leather backing or make it bright and colorful. Whatever reflects you as a person and whatever is going to make you use it. I know, I know. It sounds kind of hokey and like just another piece of writing you have to keep up with in your already busy schedule, but hear me out. Writers get better at writing by doing it. Using the writer’s notebook to do this in an environment where you are not being graded or judged allows you to write without fear of repercussions or without an impending deadline looming. It also allows you to have complete creative control of whatever goes into your notebook. Not unlike a tradition journal in this sense, it also allows to you observe and react to the world around you, and as a way to channel your emotions into your writing. However, the difference here is that while you may be using it as a means of therapy, these feelings and thought are also neatly tucked away into your writer’s notebook, ready for you to pull inspiration from someday down the line. So while you are benefiting from it now by relieving stress or the emotional trauma of Qdoba being out of steak for the burrito you’ve been craving since noon, you may also benefit from it in the future when you need inspiration for another project. The notebook can utilized in terms of academic and creative writing as well. Say an idea pops into your head about a story you might like to write or a topic for a research paper miraculously appears, write it down. Even if you don’t return to it anytime soon, its still written down and ready for you to pull from whenever you need it. This brings up another important use for the writer’s notebook; reflection and editing. Your notebook is a glimpse inside your mind, spilled out onto a piece of paper. The only difference is that while thoughts are fleeting and can be easily forgotten, what your write in your journal is a tangible representation of your feelings and thoughts which can be visited whenever necessary. Reflection and editing is a vital step in any writer’s journey through a piece. It allows us to better understand ourselves and the work we have done to actually sit back and reflect on its importance to us and to whatever it is we are working on at the time. Through your writer’s notebook you can do just that, without constantly worrying about grammar or spelling errors. You can write what you are experiencing or whatever jumbled thought flits through your mind. Just write it, let it stew, and come back to it on a rainy day, or never again if you don’t want to. Sometimes it is good to get things out of our head and it is ok to never look back at it again. However, it is there should you want to. The writer’s notebook is a multi-faceted tool for any and all writers, be they from academia, or just the poets and writers that wander the world making it a little better with each written word. It has something for everyone to benefit from regardless if you think you are a good writer or a bad one. Through the use of this resource, we as writers can have safe place to store our ideas, our feelings, and musings, if for no one else but ourselves. So pick up an empty notebook today and just start writing, it doesn’t matter about what, just write. You may be amazed at what actually comes out on the page. Have you ever found yourself doing something mundane and relating it to something you just learned in class? Maybe you kick a soccer ball in an arc and then consider the algebra of soccer. Or perhaps you watch a movie and think it has some interesting perspectives on an issue. Inspiration can come from any number of completely mundane places, as it did for me while watching The Babadook. For those of you unfamiliar with the film, it follows the development of a monster that correlates to the mental break of the main character. As I watched The Babadook, I found myself considering the implications of the monster. If he is an entity dependent on the mother, is he a projection of her anxieties? And, if he is, what anxieties is she projecting through the monster? This horror film offered me a means of recreation and fodder for a possible analytical essay. What would my thesis be? Could the monster be the mother’s projection of her sexual anxieties? Last week I attended the annual International Writing Centers Association conference in Denver, Colorado. In 1983, the first ever conference for the organization was held in Denver (pro tip: it used to be the National Writing Centers Association). Fittingly, this year’s theme was “frontiers,” which allowed writing center scholars and practitioners a moment to consider connections to our past. Conference organizers, including conference chair John Nordlof, also asked participants to question new territories and critically reflect upon colonial, capitalist, racist ideologies that persist in writing centers and institutional spaces. As Shannon Carter has argued, writing centers are paradoxically caught between institutional priorities and our educational commitments to literacy. Everyone experiences a conference individually— through sessions selected, dinner conversations, tweets (#iwca2016), and scribbled notes in the program’s margins. As I followed the crumbs of my own writing center interests, a theme emerged. I noticed the complexity in looking to the future when we’re in a field saturated with the richness of situated and lived experiences of teacher-scholar-practitioners. I saw this in both explicit critical reflections on research methodologies and implicit acknowledgements of the effects of local institutional histories on current and future practices. More than last year, I noticed presenters thoroughly engaging with and reflecting on methodologies for creating knowledge in writing center studies. For instance, Holly Ryan’s survey results seem to indicate that a video demo compared to an in-person demo of a tutorial have equally positive effects on students’ intentions to visit the writing center. Yet, Ryan didn’t stop with results and implications. She encouraged the audience to both follow our intuitions and consider the limitations of survey research; she even provided examples from other disciplines. Steve Sherwood took a wider view in his reflection on scholarship and research trends. Though he was generally supportive of the current landscape, he admitted his unease with the current push toward valuing replicable, aggregable, data-driven (RAD) studies. Sherwood said he certainly sees the value, but wonders: what is lost? What happens to our practitioners’ knowledge? Building on the notion of questioning RAD, Rebecca Hallman proposed that qualitative writing center researchers, in order to account for local situations, cannot neatly or ethically replicate methods of past studies. Again, using the opportunity to “look back,” presenters turned a critically reflective lens onto their and the fields’ methodologies. I also noticed the pull of the past in presentations focused on new initiatives. For instance, I presented with a panel analyzing writing centers’ move into learning commons. Both of my co-panelists, Mary Beth Simmons and Melissa Manchester, included how their institutional histories affected their current situation. I’m reminded that I too should more thoroughly consider institutional history as I research how UofL’s University Writing Center can best collaborate with our new neighbors in Ekstrom Library’s Learning Commons. In the digital realm, Megan Boeshart reminded her audience that digital technologies have institutional histories too—online tutoring must be developed and maintained within the affordances and constraints of available campus technology, student familiarity, and tutor expertise. If not, online tutoring, though available, might not be accessible. Finally, I noticed attention to graduate student consultants. 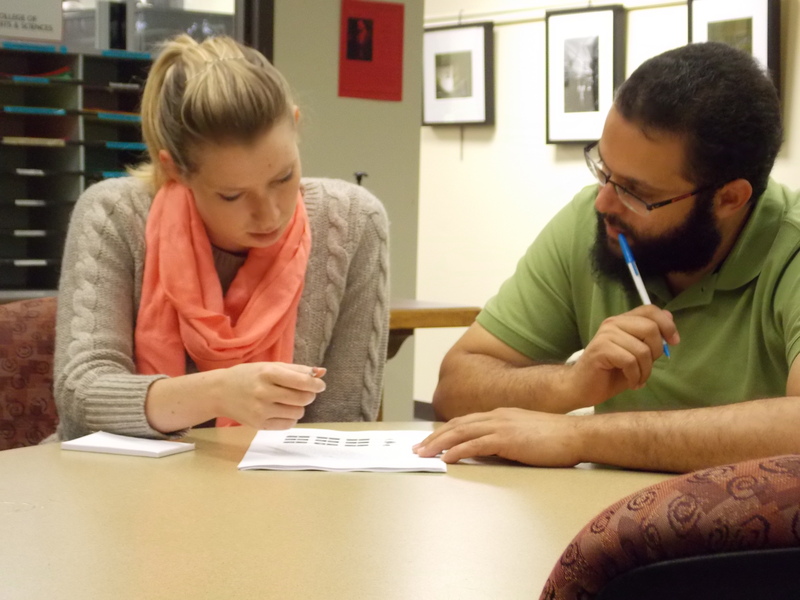 Like UofL’s University Writing Center, many centers employ graduate students. 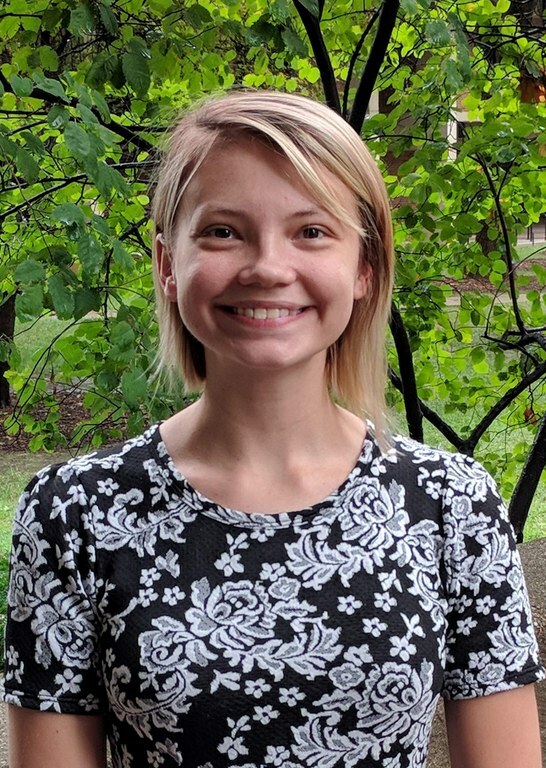 However, as presenters such as Deanna Babcock, Molly Tetreault, Bradfield Dittrich, and Bridget Carlson argued, graduate student consultants bring with them their developing disciplinary identities, and varied goals for themselves as teachers and professionals. The writing center may or may not play a significant role in their teacherly identity. Yet, graduate student consultants are built into the very foundations of many writing centers, like UofL’s, and rightly so. My point is, when looking to the future, we must take into consideration our local institutional histories. I appreciated the presentations that attended to the messiness of their local situations. For writing center scholars, writing centers are both our subjective daily lived experiences and an object of our scholarly attention. IWCA’s exercise in variations on “frontiers” has allowed me to see that writing centers studies may be in a formative space as we begin to question the strengths and weaknesses of methodologies, such as RAD, and look to how our local institutional histories affect current and future practices. Carter, Shannon. “The Writing Center Paradox: Talk about Legitimacy and the Problem of Institutional Change.” College Composition and Communication 61.1 (2009): W133-W152. Print. International Writing Centers Association Annual Conference, Denver, CO, October 2016. Conference program. 19 October 2016. Web. You Can’t Teach That: Facilitating Discussion on Tutor-Writer Rapport? As one of the assistant directors at the writing center, I have the opportunity to teach two lessons in Bronwyn’s “Writing Center Theory and Practice” course, where our graduate consultants receive training during the fall semester. Recently, I facilitated one of our class discussions around “Student-tutor relations in the Writing Center.” Writing center sessions can include wildly varying levels of language and disciplinary expertise between both tutors and writers, making relationship-building critical to successful communication. In addition, rapport is also a crucial (and under-discussed) part of being a successful student, employee, or person generally. Building individual relationships, particularly in professional settings, is a complex and deeply contextualized activity, and most of what I know about it is instinctive, built on trial and error over time. Because of this, I had a difficult time planning our lesson. For our discussion, I ended up choosing two recent articles from the journal Language and Education: Cynthia Lee’s (2015) “More than Just Language Advising: Rapport in University English Writing Consultations and Implications for Tutor Training” and Innhwa Park’s (2014) “Stepwise Advice Negotiation in Writing Center Peer Tutoring.” Lee’s focus on individual elements that go into building a relationship and Park’s discussion on how to deal with minor disagreements helped us find a way in to this difficult-to-teach subject. Lee’s framework pulled from discourse and rapport scholarship to detail descriptions of the kinds of behaviors that we often take for granted: greetings, small talk, qualifiers/mitigation devices, open-ended questions, first-person plural pronoun use, and praises/related forms of encouragement (436). Saying hello and chatting about unrelated matters tend to be givens in social interaction, but they can also help ease the tension when two people don’t know one another well. Qualifiers such as “maybe” or “perhaps” and open-ended questions such as “Can you tell me more about your goals for this project/assignment?” help build understanding and ease discussions around disagreements. First-person plural pronouns like “we” and “us” are helpful in creating a more team-oriented work environment during sessions, while encouragement and praise help build confidence. I don’t know about the consultants (feel free to comment! ), but it was really helpful for me to have a conversation about those elements of a writing center session that often go unrecognized and (seemingly) unnoticed, but which can make a real difference to the success or failure of a session. For example, a few of our consultants shared that small talk tends to make them uncomfortable, particularly if students responded to small talk by discussing their frustration with particular assignment or situation, while another shared that she sees such situations as an emotional opening to help writers address their concerns. Understanding a variety of approaches to such small interactions and the rationale beneath them gave me more resources for interacting with a variety of personalities. Park’s article details the ways in which advice resistance is a negotiated construction for both the tutor and the writer. She discusses the steps that resistance, acknowledgment, and resolution move through within sessions, and I thought her work might prove a helpful springboard for discussing the ways in which we negotiate advice resistance in our own sessions. We did discuss ways that we tend to navigate through (or around) resistance during our discussion. One of our consultants commented that, while she was aware of her own intentional practices in navigating resistance, she had not thought about the fact that writers might also follow certain linguistic formulations in constructing their resistance, such as saying “Yes, but what I was really trying to do there was….”. We also discussed the ways in which people from different classes and cultures might navigate resistance more or less directly than the examples in the article, which led one of our consultants to ask a very helpful question about balancing a knowledge of intersectionality (every person is different) with strategic approaches to consulting (we have to apply concrete strategies to our work). Ultimately, I enjoyed our discussion, but I would love to hear some comments. Consultants, how did the session go from your perspective? Colleagues (and that includes you, too, consultants), how would you/do you encourage productive discussion on building relationships/rapport during writing center sessions? Writers, what kinds of discussions have been most helpful to you in moving your writing forward? Many posts here on our blog are about the writing and tutoring processes, but another important part of “who we are and what we do” is participate in scholarly conversations. This month I attended the International Writing Centers Association (IWCA) annual conference. The theme, Writing Center (r)evolutions, challenged me to rethink my own assumptions as a consultant and administrator. I’m sharing a few of the half-formed thoughts and questions. I want to invite you into my conference experience. By doing so, I hope to blur the invisible boundaries between daily practices, personal reflection, conversations, and research; I want to make our behind-the-scenes writing center conversations a bit more visible. Foremost on my mind is the University Writing Center’s impending move to the first floor of the library. We’re excited to gain a more visible space and digital consultation rooms. But we’re also gaining new neighbors: the Digital Media Suite, REACH Computer Resource Center, and Research Assistance and Instruction. Stacy Rice’s presentation confronted anxieties that exist when separate centers, such as writing, speaking, digital, or communication, have somewhat overlapping missions. She challenged all centers to not attempt to divide communication into different realms and instead simply respond rhetorically to the writers and composers who seek response and feedback. Our new space and location affords us the opportunity to collaborate in ways that previously may have been difficult. Will each center embrace opportunity or retreat into our separate spheres? What are the best ways to collaborate? Regardless of any (r)evolution or renovation, I think it’s safe to assume our writing center services will always include the individual consultation. Yet, writing center research still has work to do in understanding the dynamics of writing tutoring. 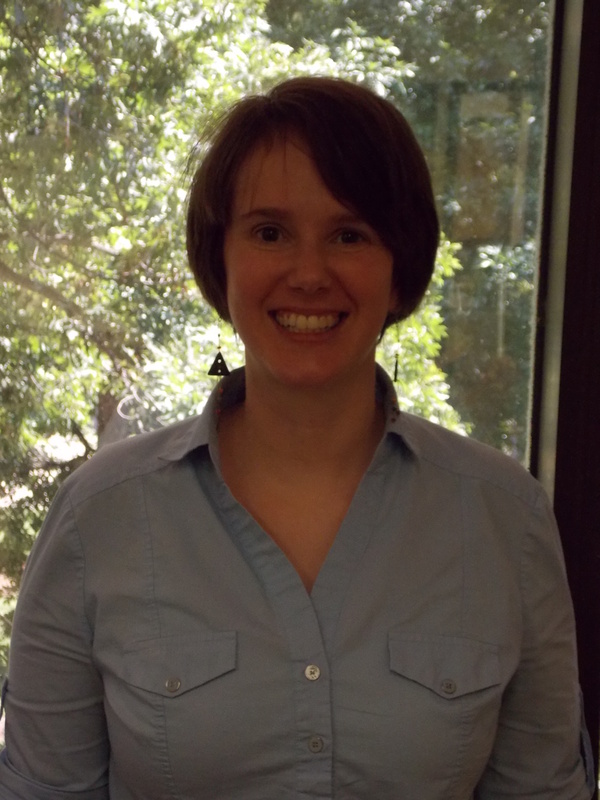 Molly Parson’s research focuses on consultants’ perceptions of conflict during sessions. Parsons made me think about the expectations consultants and writers have for sessions. She seemed to suggest that while both sides may think “good” or “productive” sessions will be those that steer clear of conflict, but, in reality, conflict can spur ideas and those “ah-ha!” moments. Do we learn because of, not despite, conflict? We work with many multilingual writers. Nicole Bailey’s presentation suggested that centers should consider providing tutoring in writers’ home languages when possible. Her ethnographic research in a multilingual university in South Africa suggests that when writers feel comfortable, they will learn more. She’s already embraced the practice at the writing center she directs. How can we bring writers’ home languages into the writing consultation? All the consultants in the University Writing Center are graduate students who complete a course called Writing Center Theory and Practice. Kelsey Weyerbacher and Jack Bouchard, two undergraduate consultants, presented their experience and research data. Their perspectives challenge the (mis)conception that a tutor is just a tutor. Yet, writing centers are fruitful sites for research that informs issues of learning, writing, development process, response, space, and conversation. What happens when tutor-initiated research becomes the rule rather than the exception? Matt Dowell’s presentation suggested that writing centers should pay more attention to paratexts—handwritten notes, charts, marginalia, and drawings—written or drawn during sessions. These texts may have untapped potential. In a separate presentation, Matthew Rossi argued that doodling in sessions can create opportunities for common ground and understanding that talking simply cannot. Finally, a panel organized by Muriel Harris challenged writing centers to better use online spaces—listservs, blogs, databases, and websites—to share across centers and among local contexts. An important question that arose during the discussions was: Who do our blogs reach? Our UofL Writing Center blog had 7,541 unique visitors in 2014. We’ve had 6,263 so far in 2015. But who are you? Is there a better way to reach our target audiences? To that end, I encourage you to be radical—comment on the blog and let us know. What are your thoughts on writing center (r)evolutions? The obvious work of the University Writing Center takes place during the writing consultations. If you walk in and see the room filled with people in conversation about writing project, it might be easy to think about the individual teaching as all that happens here. Yet another important aspect of our work in the Writing Center is not immediately visible during consultations, but is vital to helping us engage in effective teaching with the writers with whom we work. In addition to being a place where people can get support for their writing projects, the University Writing Center is an active research site into the theory and practice of Writing Center work. By learning more about writing and how writers learn, we improve our work and contribute to the scholarly conversations in the the field of Writing Studies. 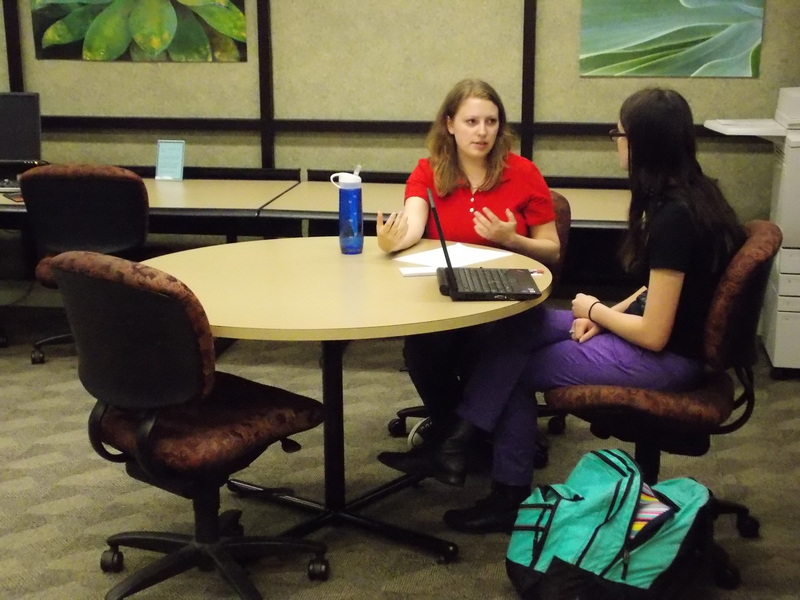 For example, many of the graduate students who work as consultants in the Writing Center also engage in research on everything from how international students work in online consultations, to how to teach ideas about genre in writing, to how Writing Centers work in community colleges. Such research can form the core of a graduate students’ dissertation or MA project, or result in publication in the scholarly journals and books in our field. You can find a list of some of the research projects that have emerged from the Writing Center on our webpage. Engaging in research is vital to the work we do in the Writing Center. Writing doesn’t stand still. By that I mean that writing is a complex social endeavor that we are constantly having to study to understand. It’s widely accepted in our field that writing is more than just making or deciphering marks on a page. The way we write, the way we learn to write, and what we write are all shaped by the social world that surrounds us. Everything from technology to language to changes in the culture around us influence how reading and writing happens. For example, the rapid changes in digital technology have changed the writing and reading practices of everyone in the University (as is obvious if you’re reading this blog). If you ask twenty people at the University how changes in technology have influenced student writing, you might get twenty different answers, some of which might be accurate and others wildly wrong. Our research, like all research at the University, is intended to help us move beyond our initial opinions and gut instincts to gain a clearer understanding of the complex nature of student writing and student writers today. With such an understanding we can work more effectively with writers to help their work communicate their ideas in creative and critical ways, and to teach them skills and approaches that will help them be better writers in the future. In addition to working to understand more about how people write and how we can teach them to be better writers, we work to conduct research in an ethical and participatory manner. We do our best not to regard the writers involved in our research as lab rats that we can observe with detachment and analyze at our pleasure. Instead we want to conduct research that is collaborative and participatory in nature. We want to do more than simply comply with University ethics guidelines (which we do, of course). We want to model research with writers in the Writing Center as something that they learn from, and benefits them directly, even as we learn more for ourselves. One of the core values of Writing Center work is a dialogic approach to teaching and learning. We work in conversation with students and faculty who come to the Writing Center. We start from where they are, and respond to their concerns as we also discuss with them the ideas and questions we find in their work. This same kind of participatory and dialogic approach helps shape our research ethics and practices and is part of our identity. We believe in a model of research that is reciprocal and engages everyone involved in learning and creating knowledge. Tomorrow, we’re taking some of our research on the road. 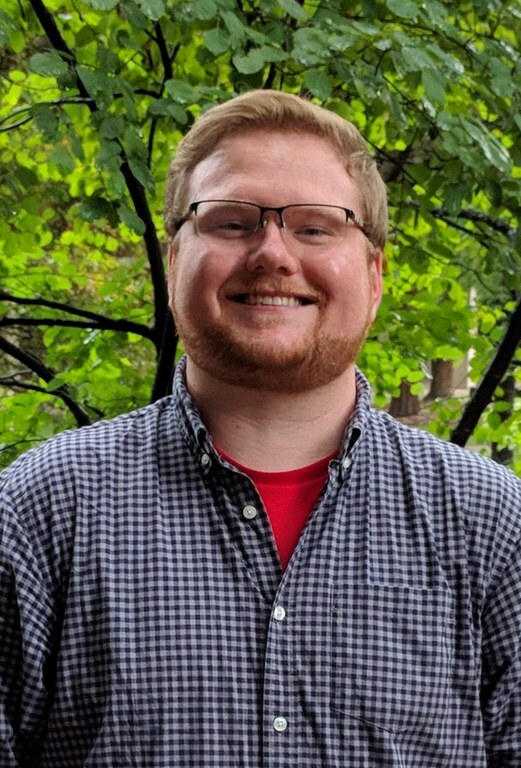 Along with Adam Robinson, Associate Director of the Writing Center, and Ashly Bender and Jessica Winck, two of our Assistant Directors, I will be attending the annual conference of the national Council of Writing Program Administrators. The CWPA is an organization that discusses both the practice of administering writing programs, as well as pedagogical approaches to teaching writing. At the conference, we’ll be presenting on a panel titled, Writing Centers as Enclaves: Creating Spaces for Pedagogical and Political Change. After the conference, I’ll be writing more about this idea next week. As with any academic conference, we’re looking forward not just to presenting our ideas, but in learning from the conversation from the people there. It is all part of connecting research and teaching in order to improve all of our practices in the Writing Center.